Family owned and operated since 1972 by the Schaubmayer family, the ever popular Alpenhof Lodge has an outstanding location with European ambience, bringing a nice little touch of the best of Bavaria to California. The Alpenhof Lodge is situated at the bottom of the Mountain Road which takes you up to the main lodge area, and close to the bars, shops and excellent restaurants of the town of Mammoth Lakes. It is also now just a short walk across the road to the new Village at Mammoth and the stunning new gondola - you could argue that it has a slopeside location. 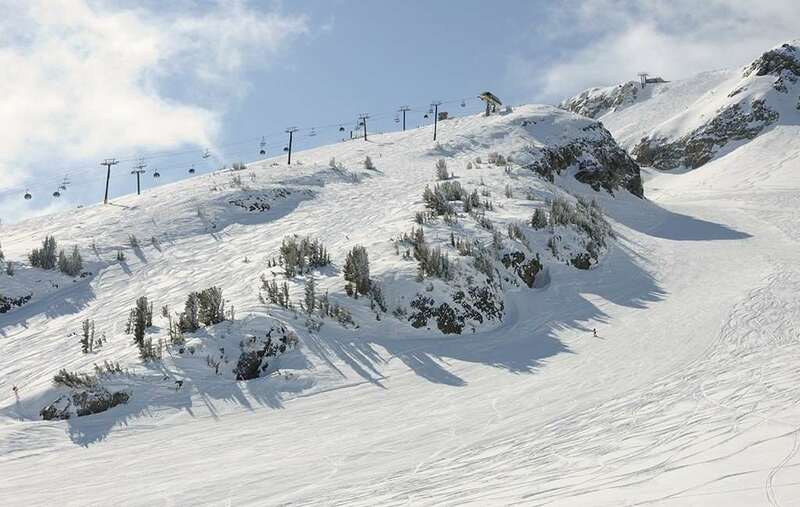 It is on the free ski and town shuttle route. Facilities include a hot tub, sauna, and recreation room, complimentary tea and coffee, the Clocktower Cellar Pub (quite simply Mammoth's best bar) and the Matterhorn Restaurant. Rooms are non-smoking with private WC with shower and bath and cable TV.